Boston, MA Located adjacent to the Studio Allston lobby, Casa Caña boasts a 3,000 s/f, 74-seat interior that includes a private dining space and expansive 5,600 s/f courtyard that offers an additional 106 seats, as well as a secondary bar. Additional private and semi-private space is also available for larger groups, special events and private parties. 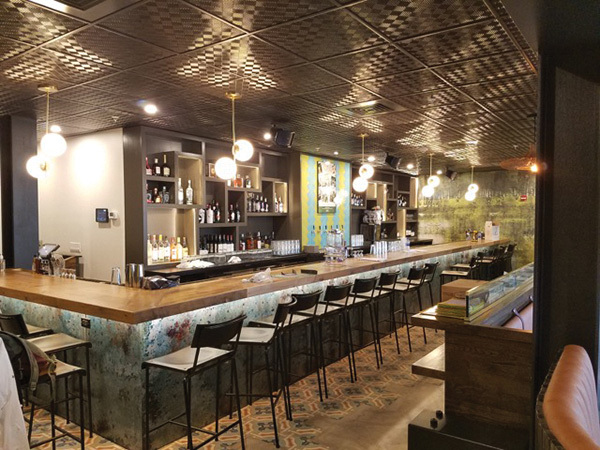 Award-winning Boston-based architectural firm, Dyer Brown worked with the restaurant team to bring to life a space that illustrates the vibrant culture, landscapes and weathered architecture of Havana, Cuba.